With summer well underway, things are heating up in Eureka Springs! Don’t miss out on these great happenings in and around Eureka Springs for the month of July! Historic Eureka Springs, Arkansas is the perfect place to celebrate Independence Day. Don’t miss the Eureka Springs Historical Society’s Happy Birthday Eureka Springs Stroll. Our annual parade is a crowd pleaser for young and old alike. Click here for more information about the 4th of July in Eureka Springs. This three day festival celebrates all things Mountain Bike! Come view competitions in Short track, super D, downhill, old served trails, and cross country racing and more! 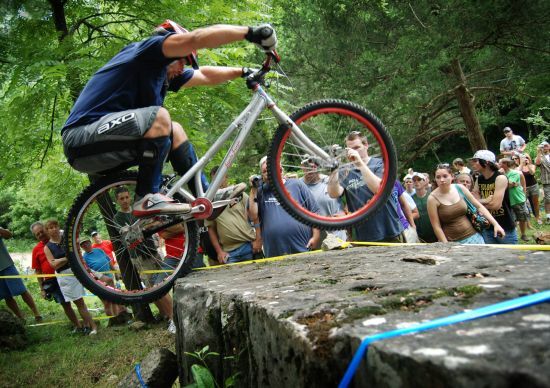 Competitive and non-competitive mountain bike events are available. Kids can bring their bikes and take part in challenges designed specifically for them! For more information, visit www.fattirefestival.com. Opera in the Ozarks has returned to Inspiration Point! What began in 1950 as a summer music camp, has evolved into a mecca where university students and graduates in Voice, Instrumental Music, and related arts come to prepare for professional careers, a place where opportunity, music, artist and audience meld with the beauty and splendor of the Ozark Mountains. This out of the box experience is sure to delight.Don’t miss this years performances of Le nozze di Figaro, Susannah and Carmen. CLICK HERE for more information and tickets.